Baby Buffalo pump in a Myanmar field. If you take it at face value, the term “user-centered design” seems like an overinflated buzzword that could be used by techies to describe every product ever created for a human being. A read-through of the term’s extensive Wikipedia entry, however, reveals a key distinction between UCD and other schools of thought. User-centered design is successful when the user can enjoy the product without having to do anything different. Forget a low barrier to entry; we’re talking no barrier to entry. The Baby Buffalo pump. Courtesy Proximity Designs. 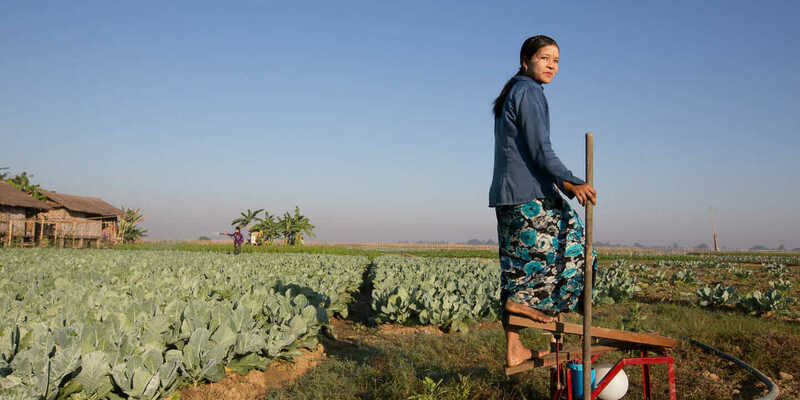 Founded in 2004, Proximity Designs is a Myanmar-based nonprofit offering sustainable products and services that improve the lifestyles (and boost the incomes) of the rural poor, many of whom are farmers. Its Yetagon brand of products include things like a mobile, foot-powered suction pump (the Red Rhino); a pump that uses a rope-and-pulley system (the Baby Elephant); and collapsible PVC tanks that hold as many as 250 gallons of water. In keeping with a mantra of “designing for extreme affordability,” no Proximity product sells for more than $50. In a country where 70 percent of the population depends on agriculture, Proximity’s impact on the local economy is impressive, as evidenced by an average $250-equivalent increase in the annual income of its customers. While they may appear rudimentary to some, these tools are godsends to farmers who have to walk back and forth to local ponds to retrieve water. And they are not your ordinary one-size-fits-all treadle pumps. Proximity has its own product-design lab to tailor its products specifically to Myanmar farmers’ needs. Baby Elephant pump. Courtesy Proximity Designs. Innovative to you and I? Perhaps not. Innovative to 68-year-old Ma Kyi Aung, who once considered taking her own life when caring for both her 90-year-old husband and her mentally handicapped daughter proved too taxing? Most definitely. Product lab. Courtesy Proximity Designs. Just like Apple, Beats By Dre, or any other product manufacturer that has dovetailed into a lifestyle brand, Proximity also focuses on things like interface, aesthetics, and ease of use, so its customers can feel pride in ownership. Still, focusing on product needs for developed countries presents a fair share of challenges. 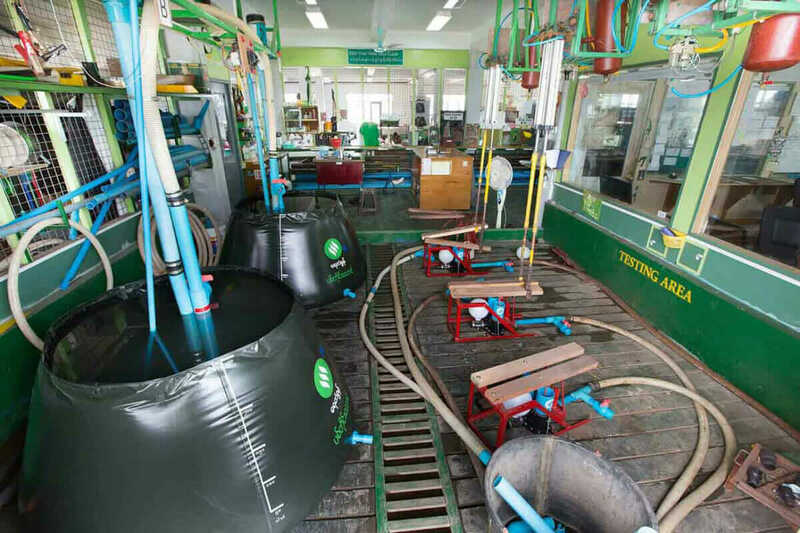 Mainstream media doesn’t salivate over advancements in foot-operated pumps or tarpaulin storage tanks like they do over product upgrades highlighted in the Apple Keynote, but there are plenty of groups dedicated to providing solutions to developing economies. But Proximity doesn’t just offer physical product to its customers. It also offers guidance and assistance in the form of small-asset financing plans and farm-advisory services. Testing area. Couresy Proximity Designs. The company also provides micro-financing plans that are uniquely tailored to the cash-flow cycles of rural farmers. Instead of a small loan paid out via biweekly installments, these loans can be repaid after the harvest, when farmers have a large influx of income. What’s interesting is that this two-tiered business model—half product-based, half service-related—might not have existed if it weren’t for a catastrophic natural disaster. Cyclone Nargis hit the region on May 2, 2008, and was responsible for at least 138,000 deaths and an estimated $10 billion in damage. 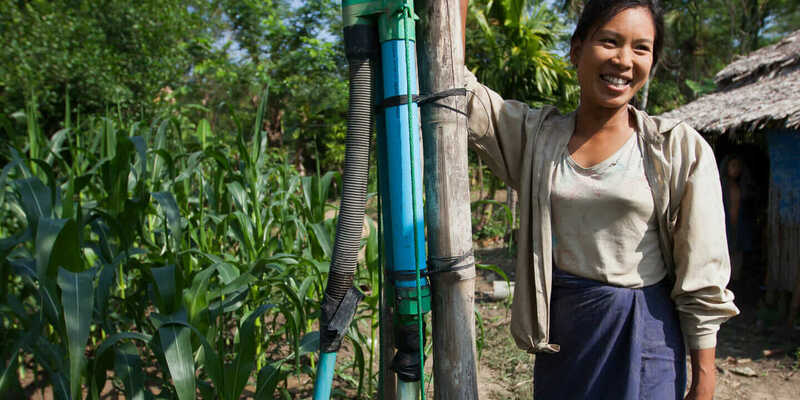 Proximity effectively put its core irrigation business on hold for nearly a year and a half while everyone from technicians to sales agents mobilized to help farmers devastated by the cyclone. In the long run, the disaster motivated the company to do even more for the region, and inspired the creation of its farm-finance and farm-advisory services. Proximity Designs is a member of the Autodesk Foundation, the first foundation to focus investment exclusively on the people and organizations using design for impact. Find out more about the field of impact design at www.ImpactDesignHub.org.